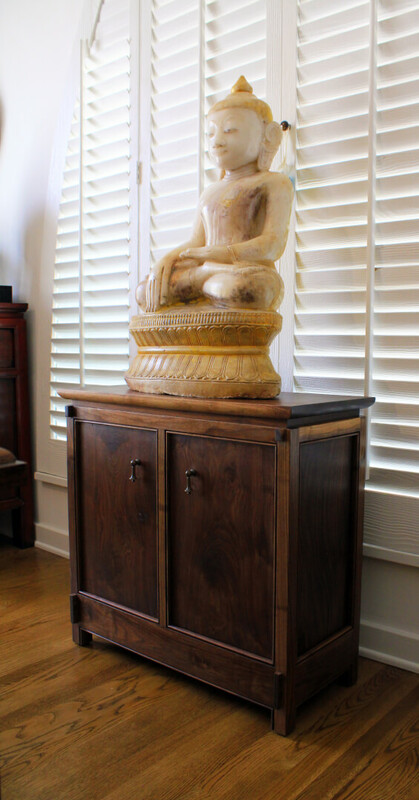 The project was to design and build a cabinet to support the client’s antique Tibetan Buddha. The walnut casework featured through-mortise and tenon joinery to complement the aged quality of the stone sculpture and give the strength needed to support the considerable weight of the stone. The ‘pagoda’ top seemed like the right choice to work nicely with the heritage of the art without trying to compete. This cabinet became the design template for two other larger pieces that I later built for the same client. 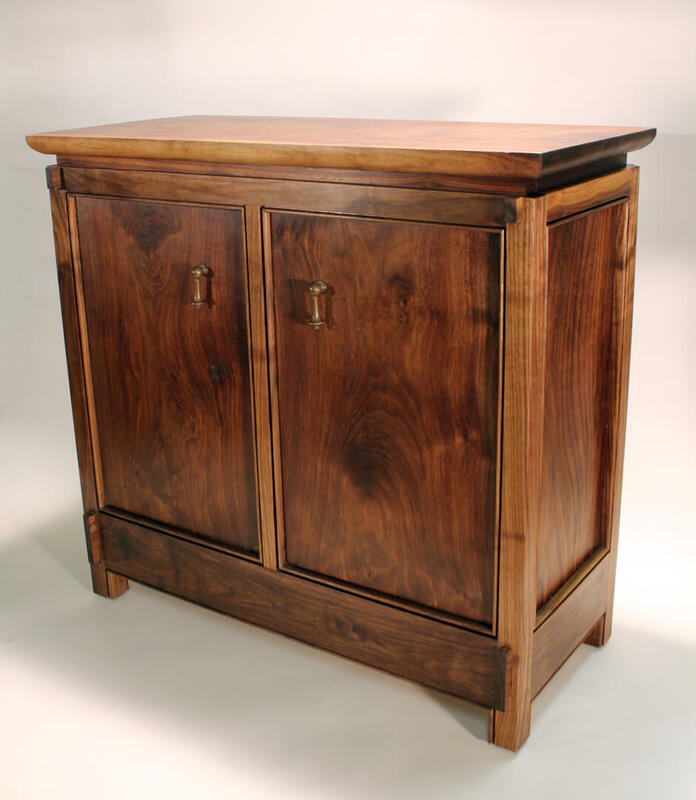 An art folio storage cabinet and a large-format television lift cabinet (see the ‘Walnut HD TV Lift’ project listing). The joinery for this piece needed to be exceptionally strong to support the weight of the stone Buddha (approx. 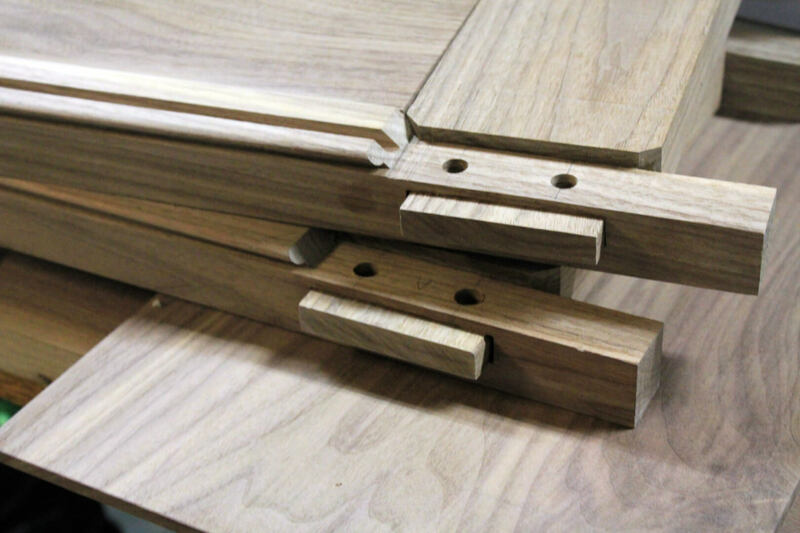 150lbs), so pinned, through-mortise and tenon joints were used.